Sears to shut two of its oldest stores: What should be the buildings' fate? A year ago almost to the day, I wrote in this space: "Hey Sears: I passed your East 79th Street store a few days ago. From the front, I couldn&apos;t tell if the store was open or closed..."
That was May 8, 2012. There&apos;s no wondering anymore. "Store Closing Sale" signs have now appeared in the window of the Sears department store, 1334 E. 79th St. Built in 1925, the long, two-story beige brick building with an iconic tower that can been seen for blocks is set to close in July. Designed from plans by architect George C. Nimmons, the store has been a fixture for almost 90 years. In addition to the 79th Street store in the above photo, the Sears at 62nd and Western, built in 1928 in the Chicago Lawn neighborhood will also close. The two establishments are among the oldest stand-alone department stores Sears built, representing the retailer&apos;s expansion from a purely mail-order house--a World War I-era Amazon.com--to a 20th century retail giant. 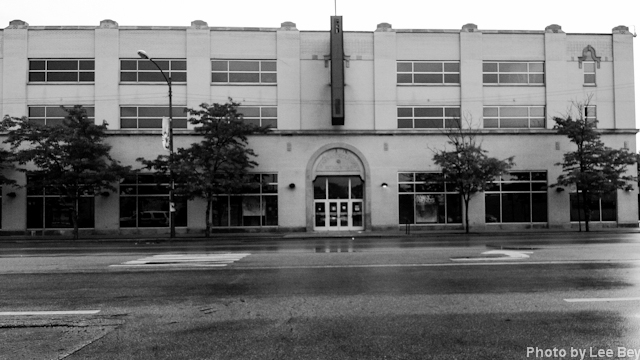 Sears&apos; first stand-alone department store, built in 1925 at 1900 W. Lawrence, will remain open. A 1966 Sears store in Calumet City&apos;s River Oaks Mall will close next month. 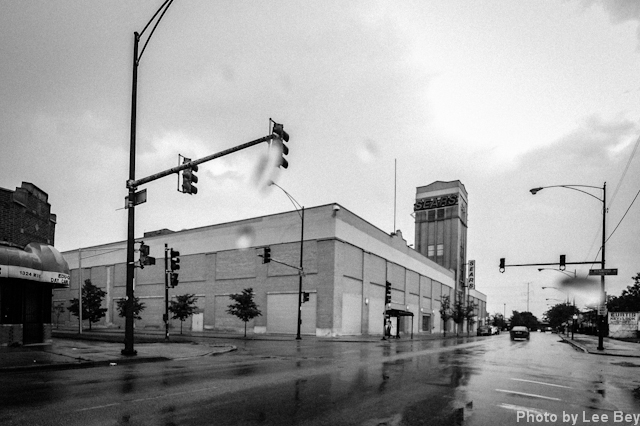 Sears isn&apos;t saying much about the closings or the buildings&apos; future, which should raise concern, given the company has been as bad steward of Nimmons&apos; elegant building – even during financially good times. The company blacked out the windows on the three-story front elevation of the Chicago Lawn store years ago, giving the building a blank-eyed look along Western Avenue. On 79th Street the sins were worse: Sears bricked over virtually all of the two-story building&apos;s windows and shaved off projecting cornices, turning Nimmons&apos; glassy and collegiate building into a bunker. The clumsy alterations muddle-up the architect&apos;s intent and thus works against any idea to preserve the buildings for architectural reasons. For urban planning reasons, though, the stores should be kept and reused because neither neighborhood would benefit from them being demolished. But how might the buildings be reused? Let&apos;s have a discussion – and any remembrances of these Sears stores--in the comments section below.